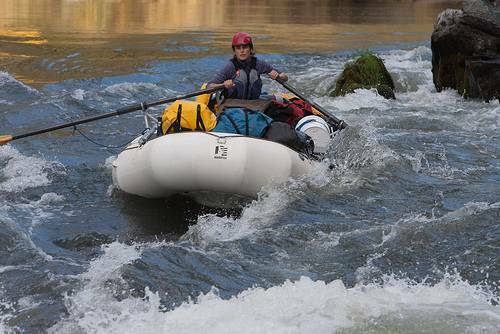 As one of the original Wild & Scenic Rivers in the United States, the Rogue River is a true American icon. Designated by an act of Congress in 1968, 84 miles of the 215 miles of river were protected against development. Flowing from the side of Crater Lake to the Pacific Ocean, the Rogue River is a pivotal contributor to the Rogue Valley and Southern Oregon. For agriculture, fishing, rafting, hiking and natural beauty, the Rogue touches many visitors every year. From the stair-step waterfalls above Union Creek to the fishing water near Gold Hill, the exciting whitewater near Grants Pass, and Gold Beach, where the Rogue flows into the Pacific Ocean, the river is a treasure for all. Because the Rogue River is all natural, there continues to be work done to free the river more. With the removal of several dams on the river in the next decade, the Rogue will continue to become better. Restoring fish habitat is the primary goal of dam removal. At the same time, the removal of these dams is freeing up some of the great whitewater rafting that many enjoy. The Rogue River is managed by the BLM and USFS; fees are collected and preservation and visitor facilities are available.